Cadbury is amending its Freddo Treasures campaign after complaints online from archaeologists describing the work as irresponsible for encouraging families to dig for treasure near historic sites. The "Treasure island" ads referenced sites including Mooghaun Fort and has been accused of encouraging "looting", with the Advertising Standards Authority receiving 30 complaints to date. 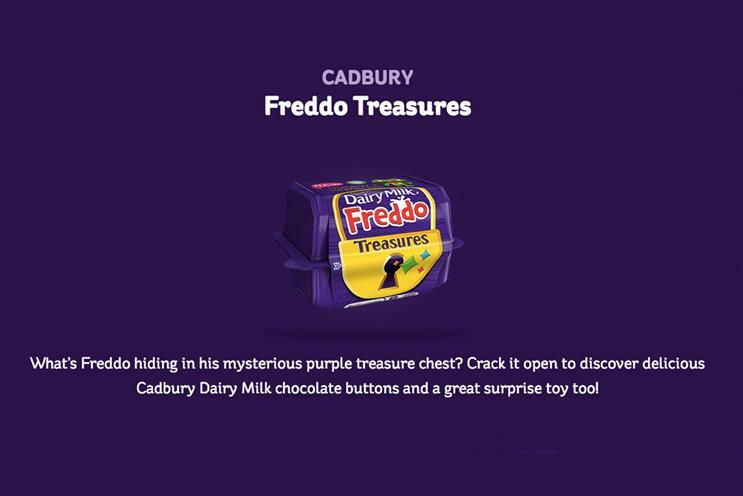 The activity forms part of a multichannel campaign created by VCCP that launched in January to promote Cadbury’s new product, Dairy Milk Freddo Treasures, including QR codes on packaging that can be scanned to reveal hidden historical facts. Cadbury has taken the campaign’s webpage down to amend the treasure hunt to direct families towards museums. A spokeswoman at Cadbury said: "It was not our intention to encourage anyone to break existing regulations regarding the discovery of new archaeological artefacts and we are grateful this matter has been brought to our attention. The webpage was a standalone page accessible via the on-pack code that was created to inspire families to go on everyday adventures together. We are updating the content to focus solely on directing families to museums, where existing treasures can be found." An ASA spokesman added that it has not yet made a decision on whether to launch an investigation.